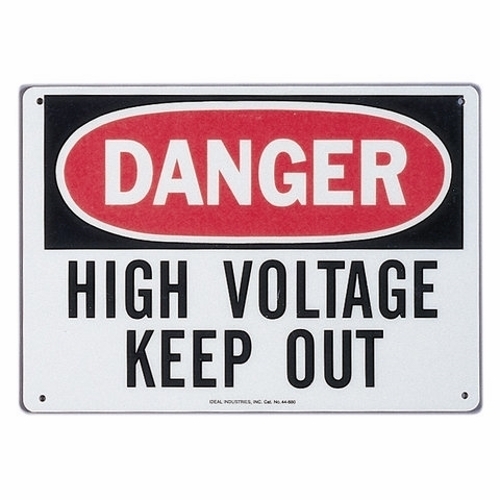 Detailed Description: Ideal Safety sign features "DANGER HIGH VOLTAGE KEEP OUT" legend and is made of fiberglass for sturdy use. 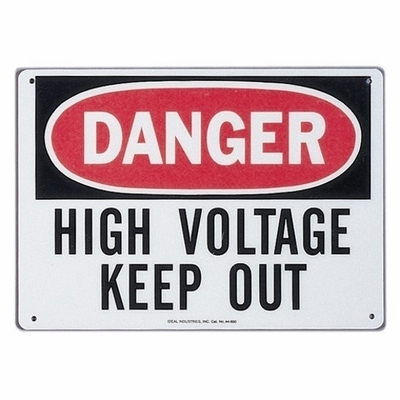 It measures 14 Inch x 10 Inch. It is bright/colorful and perfect for spotting potentially hazardous work areas. 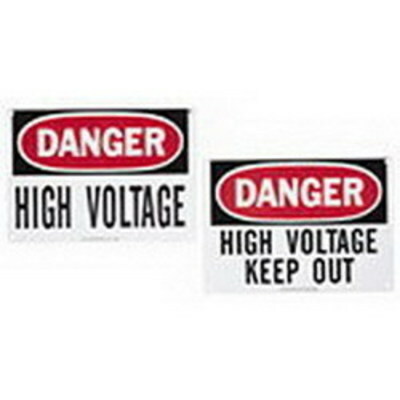 Safety sign is perfect for indoor/outdoor use and is chemical/abrasion resistant.